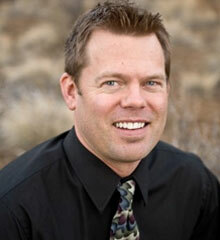 Aaron has been a licensed Real Estate Broker in the State of Oregon since 2007. He is dedicated to working closely with each and every client. Aaron is detail-oriented and takes pride in achieving high levels of quality and efficiency in his work. A graduate of Cal Poly State University with a degree in International Agriculture Business, Aaron worked as Biologist on the Central Coast of California and Florida in a wide range agricultural research projects, which helped develop and refine the analytical and organizational skills essential to this line of work. Aaron’s family has been involved in various aspects of the Real Estate business for three generations. His personal, professional, and educational experiences have provided him with a solid foundation for a career in Real Estate. After visiting family in Central Oregon during the winter of 2005, Aaron and his wife Allyson fell in love with the area and found themselves settling in to their new home in Bend the following spring. Having been born and raised in San Luis Obispo, CA, Aaron found there to be many similarities between the two cities. Aaron takes full advantage of the wide variety of outdoor activities the region offers; fishing, camping, hiking, snowboarding, snowshoeing, surfing (a little farther away), etc. at every available opportunity. Whether you are looking for a friendly, customer oriented agent to help you find your dream home, or if you are seeking a creative, aggressive agent to sell a home, Aaron is available to handle all your Real Estate needs.